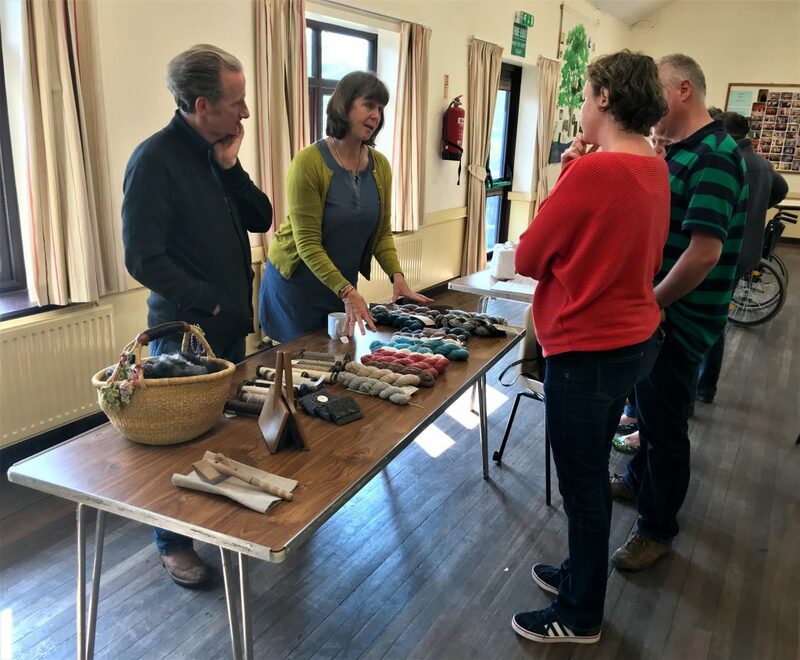 Today saw the second part of the West Shires Alpaca Group ‘All About The Fibre’ session, and we went south in the region to Apperley village hall in Gloucestershire. 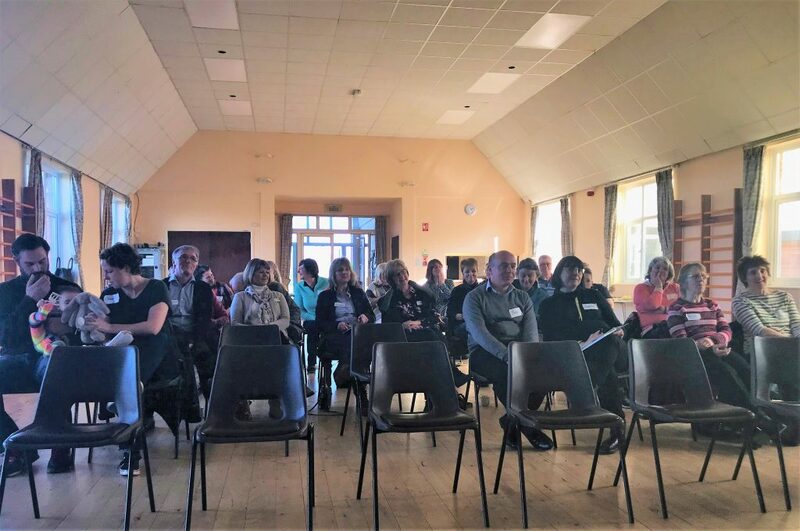 We had another good turn out and discussed selling wholesale, commercial processing and processing by hand and the various routes to market and what’s worked well for different people. Thank you to everyone for sharing their experiences and knowledge – lots of food for thought. 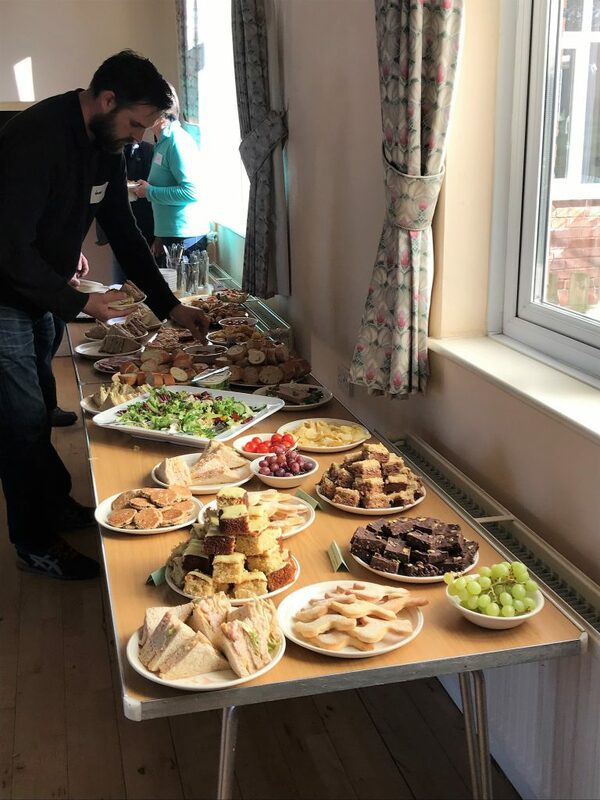 Talking of food we were also well supplied with plenty of yummy home made cake  and tea and coffee too! Hopefully it was a helpful session that shed some light on what you can do with your fibre and the many choices of processes it can go through – a key theme running through the session is to always ‘start with the end in mind’ so that you make clear decisions on which processes you put your harvest through, drive efficiency and optimise your return. Look out for the follow-up info sheet which will be available shortly. Looking forward to the mill visit – date for your diary: 11th May at The Mill at Clivewood, Shropshire. 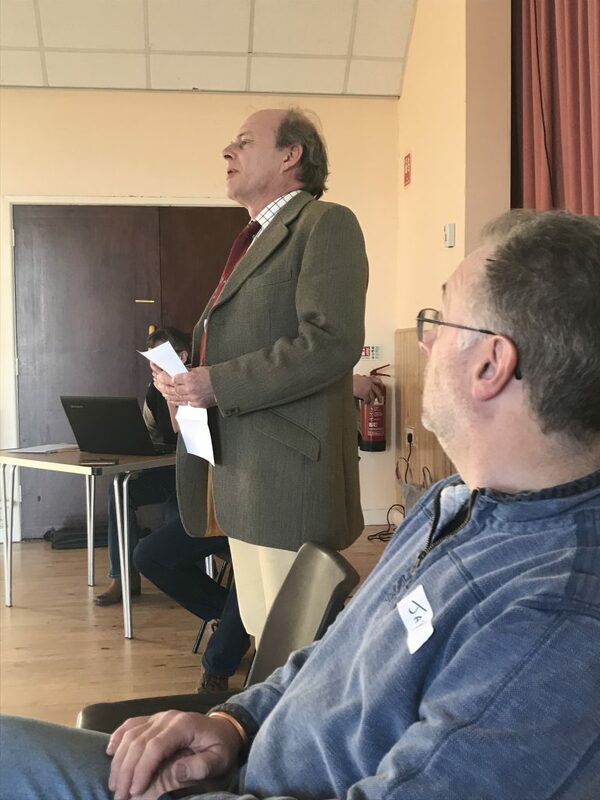 Great to see so many people at the West Shires Annual General Meeting. 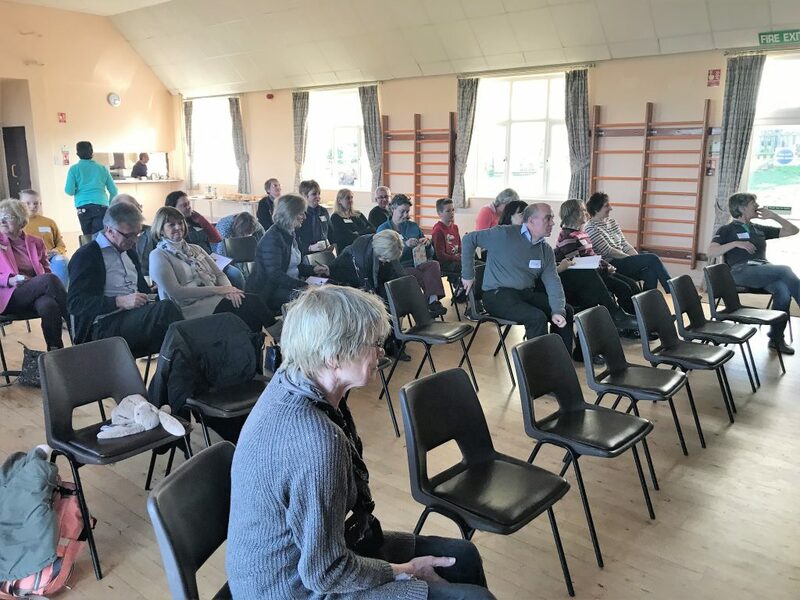 We had a fantastic turnout with 33 old and new joining us at Abberley Village Hall for a hearty buffet lunch followed by a vet talk on alpaca care and husbandry kindly provided by Josie Rafferty BVetMed MRCVS, from MacArthur Barstow & Gibbs veterinarian practice. 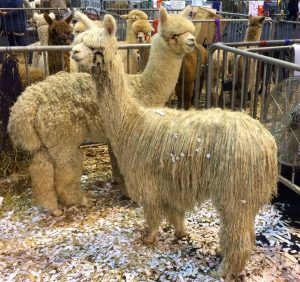 We really hope everyone found the day both useful and enjoyable and it was good to meet new ‘alpaca people’ and catch up with old friends! We’re building our calendar of events for the year so if there is anything you are particularly interested in that’s not on the list, just let us know and we’ll see what we can do. 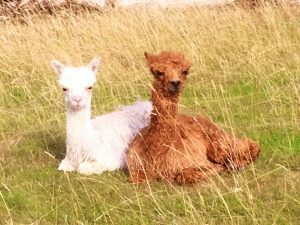 Thank you to Jay and Hilary at Pure Alpacas for hosting another successful Camelid Neonatal Course run by Claire Whitehead, thank you too Claire! Everyone seems to be concentrating very hard . Note for next year, if you’re new to breeding, or thinking about it, then this course is highly recommended! Remember, as a WSAG member you do get a discount on it too. 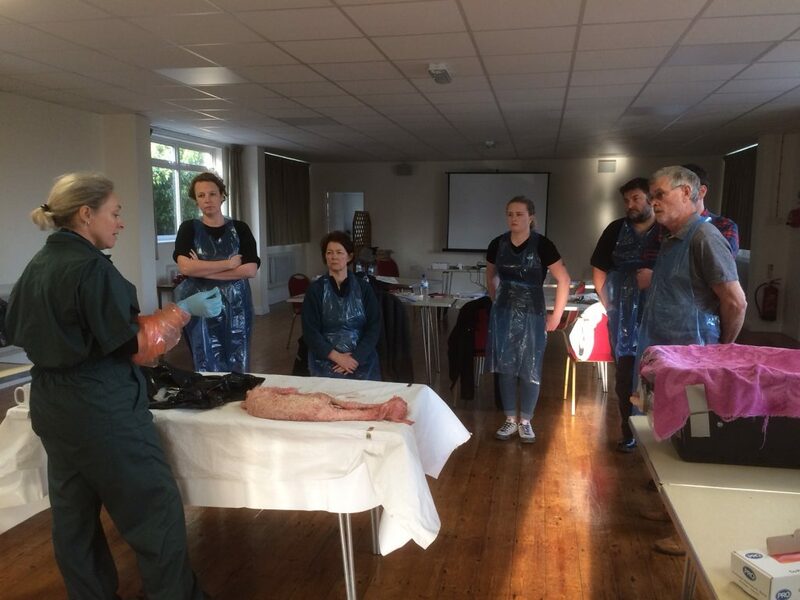 These courses fill quickly so please let us know if you are interested in another one! 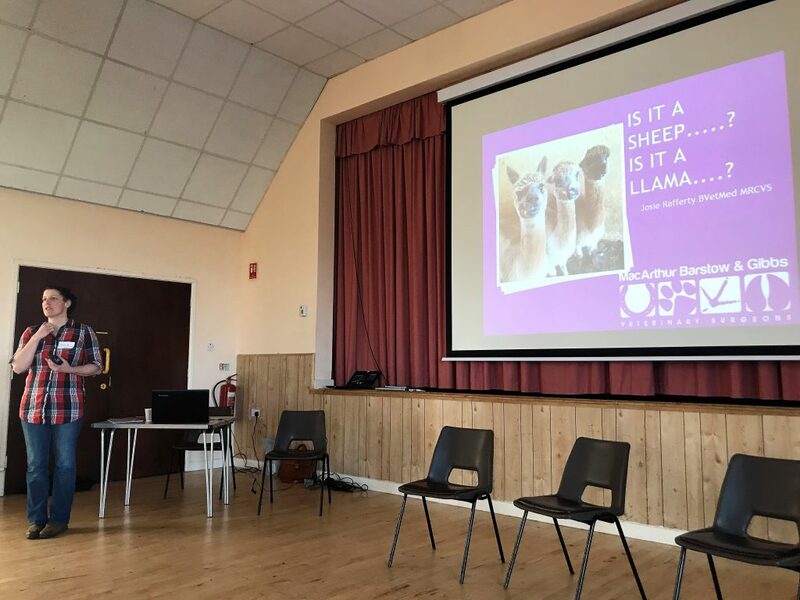 As the 2019 birthing season approaches, Claire Whitehead, the UK’s leading camelid vet, has kindly agreed to run her one-day Neonatal Clinic here in Gloucestershire at Tirley Village Hall GL19 4EW. 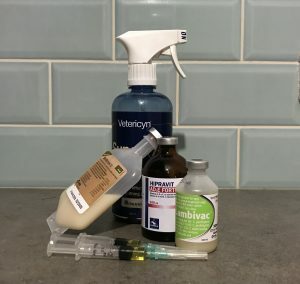 This clinic deals with the neonatal cria (what is normal, what isn’t and what to do in case of problems) as well as providing instruction on the birthing process and what you may need to do if there is an emergency. 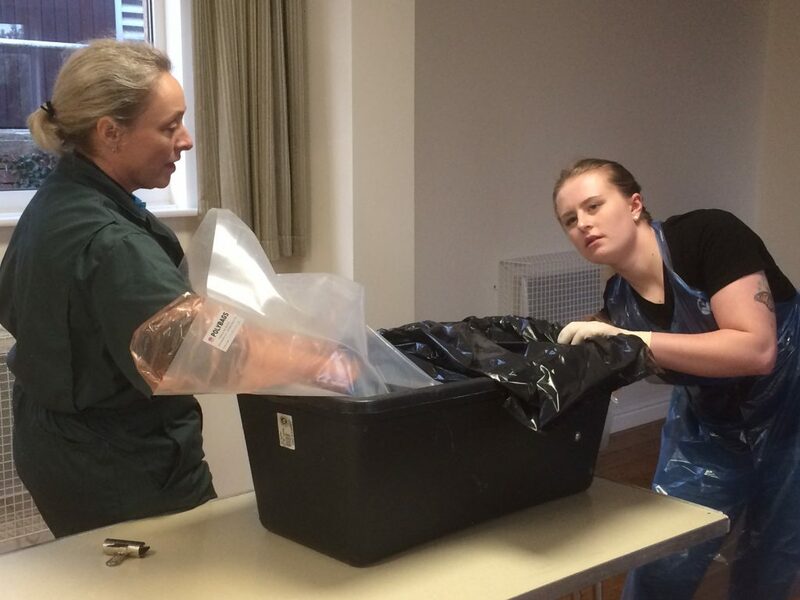 The afternoon’s practical session gives you the opportunity to learn how to recognise and potentially correct a malpresented cria and helps you understand when you need to call the vet. Only 10 places available on this course! Cost : £200 (inc. VAT) for WSAG members; £225 (inc. VAT) for non-members. WSAG AGM ‪24th February‬, 1:15pm at Abberley Village Hall WR6 6AZ, followed by a talk by MacArthur Barstow Gibbs vet practice on alpaca care, with any questions welcomed from the floor- really useful for new and experienced owners. If there is anything specific you’d like them to cover let us know in advance! We’re putting on lunch, just let us know if you have any dietary requirements. Now for the formal bit: The AGM is an important meeting for the group, it’s where members get the chance to openly discuss how the group operates, provide ideas for events or activities, elect committee members and see how group funds have been spent across the year. Hopefully we’ve bribed you enough with a good vet talk and the promise of lunch… but on a serious note, It would be great if we could see as many of you there as possible! 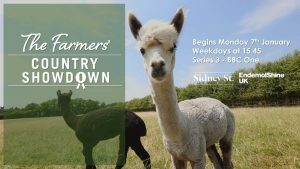 Shires Alpaca Group last June – maybe some familiar faces! 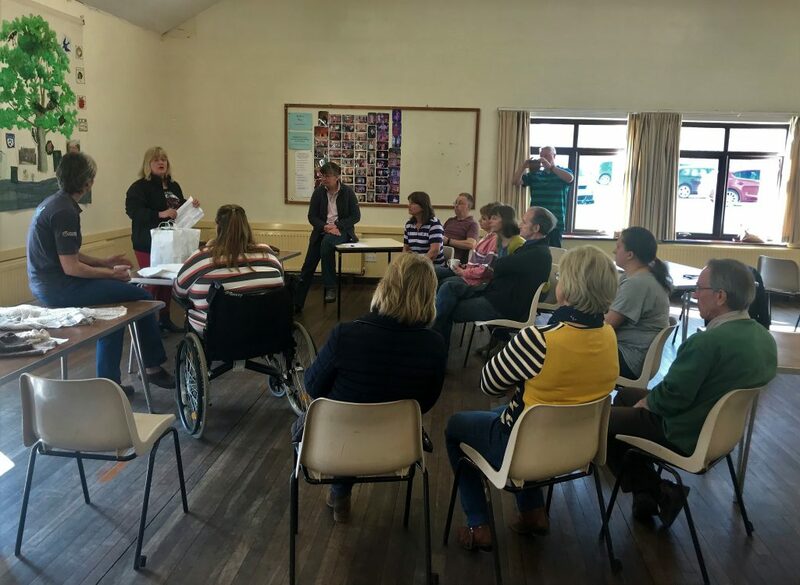 The West Shires Alpaca Group ran the first session of its “All About The Fibre” course and today’s was all about fibre collection, from preparing for shearing, how to make sure shearing day runs smoothly to prepping fibre for showing and production. Ideas and best practice were shared from members old and new – there is always something to learn! 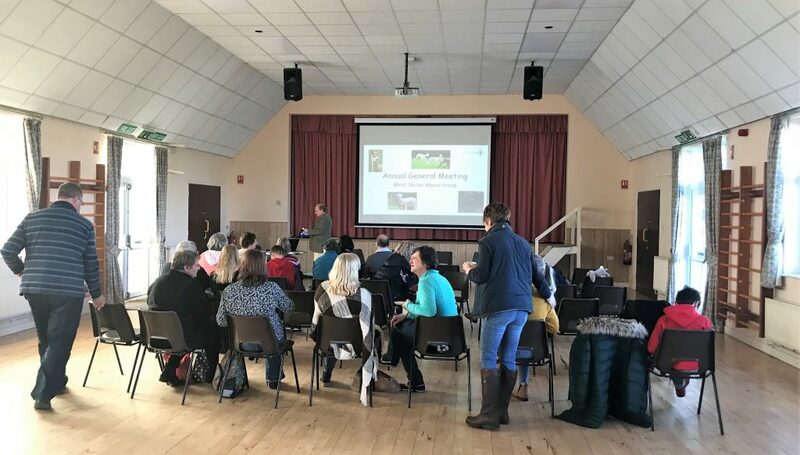 Thanks to everyone for attending, we hope you found it useful and enjoyable, and special thanks go to Julia Berry for organising the event, and to Jay Holland and James Hamilton for their input re: shearing and fleece judging. 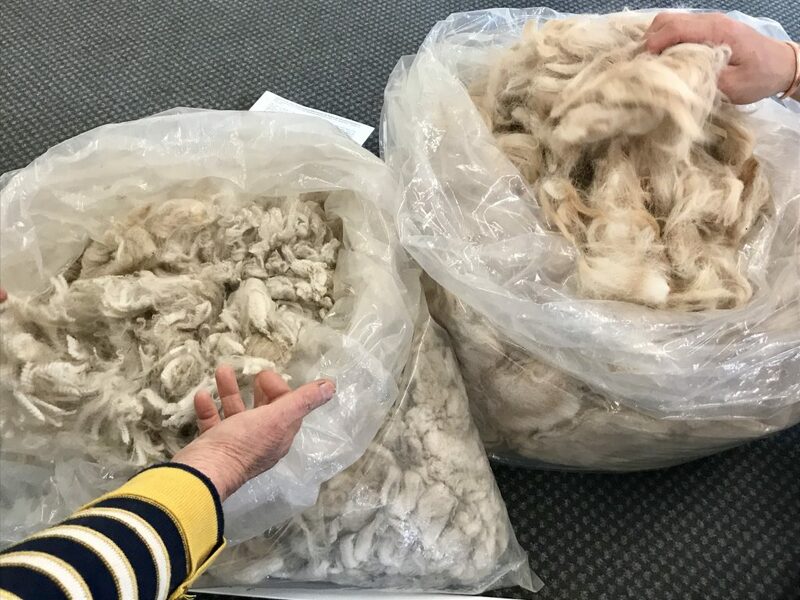 The next in the series will cover deciding what to do with the fibre – selling wholesale, processing commercially, selling processed fibre to crafters, using it yourself. The third and final session will look at how you can use and process your fibre, looking at the various crafts. produce an end product yourself. Please look out for details of dates and locations for the next sessions, hope to see you there! These sessions are open to all, £5 to members, £10 to non-members. It’s All About the Fibre! 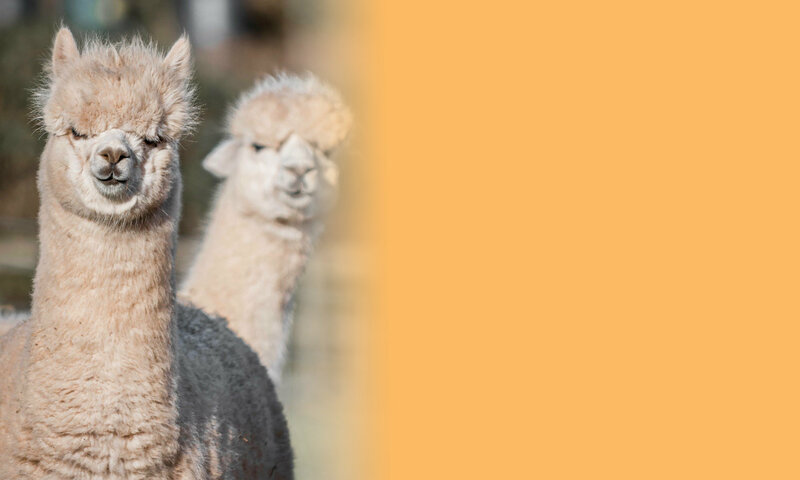 West Shires Alpaca Group are running a series of information sharing afternoons on how to get the best from your fibre over a sociable cuppa and a slice of cake. 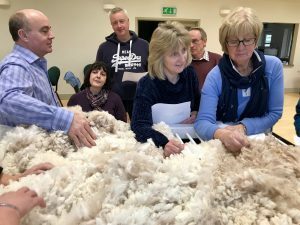 The first session (there will be more) is on Sunday 13th January and will focus on all the activities around shearing – finding shearers, fleece analysis, the shearing process and skirting and storing your fleece. West Shires Alpaca Group would like to thank everyone who attended the Midlands Championship Halter Show yesterday. The show was a terrific success, only made possible by your support, and with a committed team of volunteers working tirelessly in the background. We hope you enjoyed your day, and look forward to doing it all again next year! Following the success of last year’s show, the Committee are working hard to ensure we have another successful show in 2018.